You can purchase sleeping bags in basically any supermarket with a sports division. And with all the marketing and the attractive cheap prices, are you sure that’s what you are looking for? Because you can’t afford to mess up your so much time planned the vacation. When you notice your sleeping bag is rather a sponge than an insulator, or the zipper leaves all the cold air inside. Or you just don’t get any protection for your head. 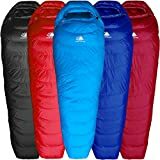 To avoid all these extremely unpleasant situations, we had put up a list of the most popular, best value and highest advantages sleeping bags available. Mountain Hardwear Phantom 15 is a sleeping bag you can carry on with you for any camping. The feeling you get with it is that of sleeping in a warm cloud: an 800 fill power down, covered in a 15 denier nylon shell, making it light as a feather and breathable, while perfectly resistant to moisture and wet weather. A draft adjustable collar prevents the air immersion if you are a tossing sleeper. This is a mummy shaped sleeping bag, which means it follows the lines of the body so that there aren’t any airbags left, your body will be kept as warm as possible. 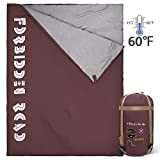 It can be purchased for about $350 but a cheaper version for about $200 is available with the difference that the inside filling is synthetic: less breathable through, but improved moisture resistance and drying in case you get it wet. If you are on a low budget, Polar Pad 20 is your choice that won’t fail your needs. One of the users who were extremely happy with it was a woman who spent some freezing nights in Moab. The price range varies depending on the store and the bag’s variant, from $50 to $80, which is still affordable for any pockets size. The cool features that make this bag valuable are a good zipper that never snags, the big enough mummy shaped tube, suitable protective hood, a pillow pocket and another internal pocket for whatever you want to keep close and safe. The fill is synthetic, polyester, so it is very moisture resistant along with the shell made of ripstop nylon. The only notable disadvantage would be its weight and the fact it’s a tad bit hard to compress. But as an alternative to it, you can purchase The North Face Cat’s Meow for about $150, having similar features, except it is 2lbs. 10oz., lighter than the Polar Pad’s 3lbs. 8oz. Expert Arctic Goose WB is a -15F rated bag, for the coldest and wettest nights out. 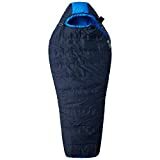 The secret of this quite expensive sleeping bag, about $550, is a Pertex Endurance shell that protects the down within from absorbing humidity even if you’re sleeping on some snow. 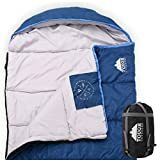 A very good feature added to this bag is an additional Pertex layer in the interior of the hood, so that your breathing will not cause the down to moist. The fill power is 750 and the downside might e its weight, 4lbs. 10oz. An external flap covers the zipper to protect from random air immersion, and the inside Is spacious enough to fit any additional clothing or boots if you need to. A lighter option would be GoLite Adrenaline 0, with 2lbs. 12oz. The issue with waterproof sleeping bags is that they provide poor breathing feature. Big Agnes Nugget 45 seems to have it all. Tested even in hurricane conditions, water never managed to get through it, and the secret seems to be the taped seams and the ripstop nylon shell. The cinch-able hood protects your face as you could adjust it to only breathing whole. The bag comes in with a pad that doesn’t insulate but makes sleeping comfortable. With a 2lbs. 3oz it is perfectly weighted for any trip, but rated for higher 45F degrees. Sierra Designs Trade Wind 15 would be pricier, but it’s rated as a 3 season sleeping bag. 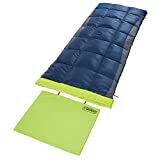 MontBell Ultralight Alpine down hugger is perfect for the nights camping in the mountain, as the temperature can drop surprisingly low even during summer. 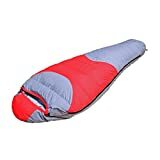 The secret of this sleeping bag is the internal elastic seaming system which eliminates the cold spots completely without compressing your body parts to the point of being uncomfortable and without squeezing the down fill. The zipper doesn’t snag, but the denier nylon shell snags on terrain debris quite easily. A warmer variant would be the Western Mountaineering’s SummerLite with an 850 down fill power. The problem with recycled interior bags is they hardly do their job, as the synthetic ones. The Marmot EcoPro, however, does the trick in 15F weather. What is the fill made of? Recycled soda bottles, as you would never have guessed. And for 160 dollars, it’s quite a bargain too. The polyester shell is waterproof and is made as well of recycled materials. The only downfall is the zipper that tends to snag, but at least it is double, so you have good ventilation. The Big Agnes Skinnyfish is even greener, made totally from green materials, except the zipper. 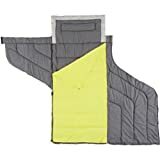 Sleeping bags features such as comfort, design or even weight offer a wide variety of choices when you go shopping for the perfect camping gear. And all these features can come in with decent to cheap prices, as, for example, you could go on with a cheap traditional cotton bag of rectangular shape and feel perfectly fine sleeping in it. 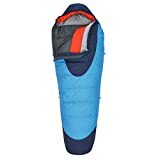 The problems appear when you want to purchase a cold temperature rated sleeping bag because such bags that resist extreme weather are complicated and expensive technology. And they need extra care with cleaning and storing too. Shoulder collars and hoods to protect the head and the inside of the sleeping bag. The Temperature rating must, of course, be 0ºF or below. A fair suggestion for when you go looking for a cold weather sleeping bag is to pick the one rated to the lowest temperature: it’s better to be safe than sorry. You can deal with being overheated than freezing. Down fill is the perfect insulation, it warms and maintains the body temperature better than synthetic fills or cotton. However, it does not react well with moisture, it soaks it, and it dries slower than synthetics. So if you are worried about moisture compromising your warmth, it would be fair to go for the synthetic fills. This can apply to camping on snow, but you can also find other ways to keep away from moisture like insulating mats, tents, pads, etc. Cold Weather Bags: What Dimension is the Best? Campers say they prefer to buy cold weather sleeping bags with about 10 inches longer than their actual body height. The answer is simple: arctic nights freeze everything so you might want to keep some stuff inside your bag to prevent that from happening: clothes, shoes, cameras or anything else. You need space for these but beware not to buy a too large bag: it will create cold spots and affect your body warmth. Extreme climates sleeping bags are more than just bags rated for low temperature. 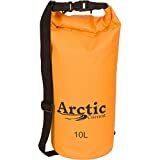 They consist of three basic parts: a waterproof shell and 2 bags: an internal bag which is a mountain type bag rated for low temperatures, filled with down, and an external bag called arctic bag. 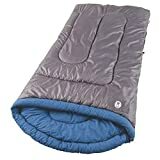 When you are using this sleeping bag, first you have to fluff it up so that you decompress the down inside and to assure there are no cold spots left inside; you can feel them to the touch. The cold comes from underneath, so your priority is to set up some insulating mats or additional clothes below your sleeping bag. Make sure you put a waterproof material, such as poncho between the sleeping bag and the mattress as they tend to freeze together if this aspect is omitted, due to the temperature differences. Avoid wearing too many clothes inside the sleeping bag. You don’t want to sweat and produce moisture and plus, the extra clothes will create tension to the bag and will likely affect the insulation. You may want to assure that your cold weather bag is equipped with a slide fastener: in the case of emergency, it must allow you to open the bag in seconds fully. As a safety measure, it is recommended to check its functionality every time you use the bag. Your bag must dry cleaned to prevent the slipping of down from one side to another, which would cause cold air spots. Don’t store it compressed; it affects the fill. Before using it, fluff it and let it ventilate, you don’t want to risk suffocation from the dry cleaning substances left. Even if you aren’t planning on using it any sooner, let it ventilate in the sun from time to time. Upon using it, let it dry and ventilate as condensation or moisture will affect insulation. For the same reason, you must not breathe inside the sleeping bag. Use your hood to cover the face as much as you can without restricting breathing and if your face is still too cold protect it with a cloth. Keep the sleeping bag packed in a waterproof sack and away from the snow. The snow can quickly melt, and if it infiltrates inside during night, it can freeze again and compromise the insulation. You should know by now that you won’t ever be able to find a sleeping bag to use in all the possible situations. Opting for some cold weather features will negatively affect your summer camping using the same bag; there’s a reason why they are temperature rated between some values. Snowy late spring and the two zippers will keep you ventilated and comfortable during summer nights. 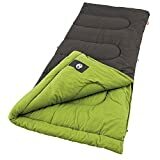 But if you are camping in the wintertime, on snow, the safest way is to purchase a sleeping bag rated below zero Fahrenheit degrees. 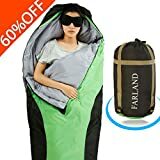 Camping in the mountains require a sleeping bag rated below minus 40°F and your three season mummy cocoon will probably freeze along with you. Same goes for the summer: if you want an optimal comfort and ventilation, a bag rated 35°F would be ideal. We are suggesting you adapt to the extremes. Mummy shaped bags are the most efficient in keeping the body warmth. 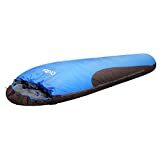 However, some people find it difficult to feel comfortable in a position restricting sleeping bag so if you have any doubts about it don’t hesitate to ask and try it out before actually purchasing it. If you are looking to purchase bags to zip them together, make sure the zippers are compatible. Rectangular bags or cotton interior/exterior bags are not recommended for low temperatures camping. Picking a synthetic or down or cotton fill affects the packing capabilities of your bag. Make sure it is lightweight enough if you have to carry it in your backpack. Two-way zippers offer flexibility but make sure to buy compatible zippers if you want to zip two bags together. Check for more loft if you need better insulation and warmer sleeping bags. The collar and helmets keep your head and neck protected against cold and seals the cold away from the bag’s interior. Check the zipper for a hook or similar system to kep it from unzipping during sleep. Down and synthetic fills are the best for insulation. Synthetic fills have an optimal performance in case the bag gets wet. The outer shell must be windproof and water resistant. Dark colors attract heat, so they will dry faster in case you get your bag wet. The stuff sack can be easily turned in a comfortable pillow if you fill it with your clothes or other soft materials. Check for cold spots – the design of the bag plays a very important role: if you can notice any corner that would leave a cold spot, avoid this bag. Carefully check for the insulation, if it gets thicker at some points, it will let cold in. Check the zipper as if it is unprotected from an inside lining, it will let cold air inside. Zipper protection must be inside the sleeping bag. If your sleeping bag is voluminous, check if the insulation is proportional to the size of it. Bigger sleeping bags need more insulation. 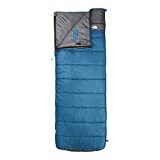 If you want a down fill sleeping bag, consider that the down can shift and leave cold spots behind. Check if the compartments are firm or if they are fluid, permitting the down to shift from one side to another. 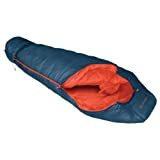 Sleeping bags with down fill usually have a specific design created to avoid the shifting: special compartments and sews. 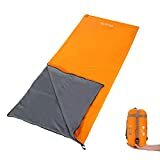 Considering that you are a serious and informed buyer, looking for quality and durability, it’s likely you ended up purchasing a pretty expensive capable camping tool. It’s only fair that you know how to maintain it properly to benefit from it for the longest time possible. When packing the bag, stuff it, don’t roll it in. Rolling creates tension through the textures and in time it can damage it. Following the same logic, be gentle when unpacking it. Sews can be quite fragile. Don’t compress your sleeping bag while storing it. Don’t store it in the stuff sack. Keep it as loose as possible to prevent fill shifting. Wear clothes while sleeping in your bag and thus you protect the material from sweat and body oils. Always put a protective cloth between the ground and bag, to keep it away from sticks, rocks or other debris that could damage it. Clean and air it up before every use, don’t store it wet or dirty. The sleeping bag you choose for a camping trip can be one of the most costly investments next to the tent that you make. Even if it is not for a serious expedition involving subzero temperatures, the bag still needs to do its job and do it well. Outbound sleeping bags fit into this category very well. 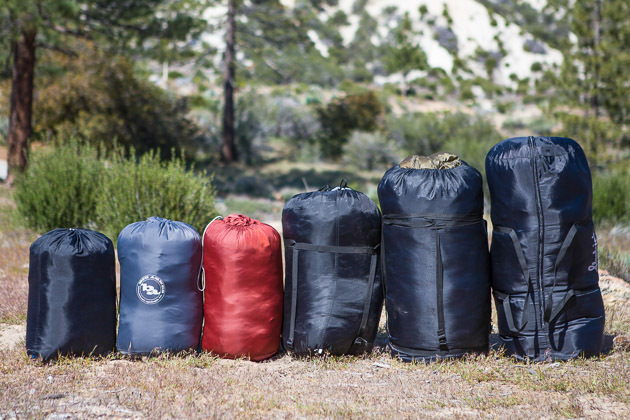 And that is just what these sleeping bags do; these bags are excellent. My husband decided we would do the camping thing he loved to go with the guys, but I had never been. It was late spring or early summer but the nights were still pretty cool, and I have to be related to a snake because I just cannot take the cold. Well, these bags kept me warm and toasted all night long. I checked, and out bags, though rated to 20F it was still comfortable. I mean it wasn’t too hot it seemed that somehow the bag adjusts to the outside temperature to keep your body at the right one. The only problem we had was connecting the bags since he was taller than mine. I am only 5’3, ” and he is 6’1″. It did not help that they were the mummy type of sleeping bag but hey, who knew. Sure enough, though we managed to find a way to keep us snuggled close without the zippers. Hey, it is not often that you get free time away from the kids. But, back to the sleeping bag. We plan to buy the double sleeping bag for next year. 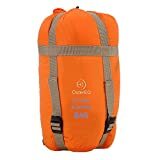 If you want a bag with excellent construction, quality materials and comfort I would highly recommend that you buy an Outbound sleeping bag. It was wonderful to snuggle into the flannel lining and drift away. The ones we tried was an Outbound Ultra Lite, and it was easy to carry because of its lightweight, only 2.7lbs. The bag itself is filled with Quadratherm Plus this is a seven hole high-performance insulation and what eliminates the cold spots is its die-cut design. The shell is made of durable rip-stop nylon, and it has a soft pongee lining. What is even better is that they come with a warranty. If you find any defects in the way it’s made or the materials, then you can return it. Well, I have said about there is to say about what I think are the best sleeping bags ever made. 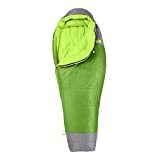 We are planning more trips together and with the kids and I was looking to see if I could get outbound sleeping bags for the kids and sure enough, they make them. This is going to be a regular for us, and I am looking forward to trying out some of the awesome accessories that outbound makes to go along with their fantastic sleeping bags. If theses are made half as good as the bags, then we will not need to shop anywhere else. Along the years, everybody must have had or at least used a sleeping bag from Coleman. 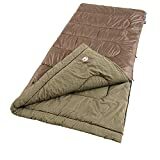 It is one of the most modern sleeping bags producers, and the fame was not gained only through the quality of their items, but also because they produce a line of sleeping bags accessible to everybody. Coleman tried to adapt to their customer preferences, so the question was: who were their buyers? 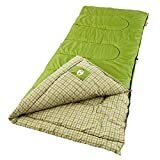 The Coleman sleeping bag user was the middle class looking for a practical sleeping bag to use occasionally in the outdoor weekends or during sleepovers. 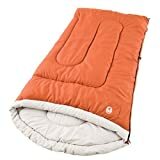 The look of the sleeping bag was a very important factor in the decision of the customer, so that’s why Coleman has one of the widest range of color combinations. Above that, the sleeping bags had to be comfortable, so some of their lines are designed especially to provide a relaxing experience. 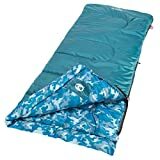 Without breaking their low budget policy, Coleman had created an extreme weather line of sleeping bags also, with unexpectedly good reviews from the users. 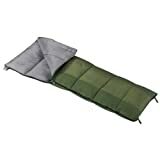 The Coleman Cool Weather Sleeping Bag is the most popular item they are producing. 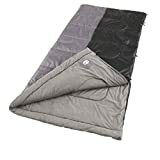 Rated between temperatures of 30 to 50 degrees Fahrenheit, it is a square shaped sleeping bag designed to get zipped with another of its kind easily. 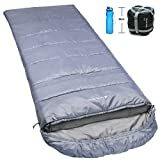 The FiberLock technology prevents the insulation from shifting which is the first feature you should be looking for when shopping for a cool weather sleeping bag. 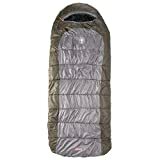 User reviews state to have had very comfortable and warm experiences; the sleeping bag ensures a warm temperature even at lower temperatures. The lining is made of flannel cotton, so it is breathable and comfortable to the touch. It comes only in universal measures of 33 to 75 inches which are enough for most campers. It has an internal pocket specially designed for your flashlight. One of the features that made this line so dear to the customers is the color. The line comes in a vast variety of warm colors combinations. 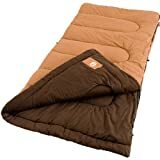 The Coleman Cool-Weather Scoop Sleeping Bag is a larger variant of the above item. It measures 39 by 84 inches, so a person measuring six feet could comfortably fit in it. The price differs from $40 to $60 and, of course, it is a bit heavier. The exterior is the same, made of polyester; another slightly different design aspect is the upper side cut which is round. The Coleman Comfort Control Sleeping Bag is designed especially for those who have problems accommodating with sleeping on the ground. The special feature about this bag is that it is completely waterproof, the exterior and lining are both made of ripstop polyester. It is rated 30 F degrees, and it is lighter than the previous two models, weighing only 3lbs instead of 4. It comes with a stuff sack included. Can be purchased for about $45 and it makes one of the best choices at Coleman since it meets the basic preferences of every camper. 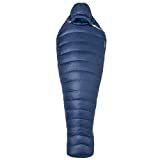 Coleman Extreme Weather Mummy Sleeping Bag keeps you warm at temperatures down to 25 F degrees. Not only the 38oz. Coleman insulation but the mummy design will help you keep warm by eliminating the cold air spots inside. It can accommodate even tall people of above 6 feet. The hood can be tightened around the face to keep warm to your head and neck. Costs about $65 and is also available in a pricier variant, the Coleman Extreme Weather Hybrid Bag, the difference would obviously be the shape. 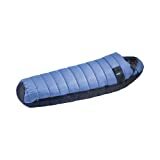 Coleman Large Warm Weather Sleeping Bag is ideal for temperatures from 60 to 40 F degrees. 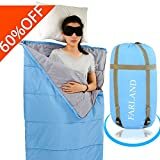 This large model has 39×81 inches, and the reason why we recommend this large bag is that during warm nights people need space to move and breath, comfort being a priority. The cover is made of polyester, and the lining is a soft tricot. Another indisputable advantage of it is the lightweight and the budget price. 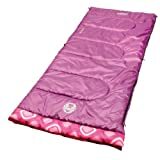 Sleeping Bags for Girls/Boys are of course two different lines of bags designed especially for kids. We all know the little ones can be quite picky at times and that’s why it is important to make your child feel comfortable and joyful when you go for a camping trip. The universal measure is 26”x60, ” and they can easily accommodate average 10-year-old children. The line is very appealing because of the colors and designs, making them easy to love by your kid. It’s a perfect bag for warm nights or using indoor. The design is simple, no pockets or hoods, to avoid hazards, so it is a completely safe sleeping bag. As these models are just a few of the Coleman bags, you are advised to make your research based on your needs. 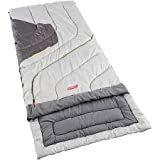 However, if your definition of sleeping bag meets the above features, then you can be sure you are making a good investment in a sleeping bag you will love. Coleman sleeping bags also have a five-year warranty which ensures you that you will be able to use it for quite a long time. People are compelled to live a busy life, and this is the reason why most of them love to spend their leisure time in new places. 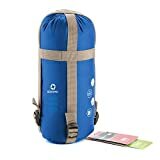 When you are going for trekking, hiking or camping, an essential thing you need to have is a sleeping bag. 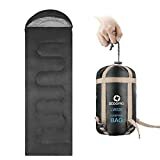 Among various types of sleeping bags available in the market, compact sleeping bags are improving in popularity amongst numerous professional and leisure travelers. A small bag may well fit easily into your pack and still allows room for food or other gear. People traveling in new places can enjoy their visit without any trouble if they can find the quality bag. 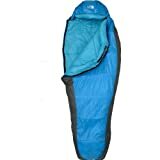 Going with sleeping bag reviews can be the best idea to get the appropriate bag at a reasonable price. You may see compact sleeping bags virtually anywhere, but beware of the cheap styles from your local retail stores. Those bags will certainly weigh you down and use up more space than you’ll have available. A small sleep bag serves as circling protection for your body because you may use it with or without having a tent. 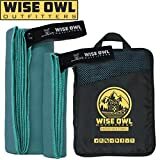 First of all, you have to determine what material and insulation you want for your sleeping bags then after you can search your bag either online or go through retail store visit. If you focus on warmth then down insulation is a good choice. And down bags are compressible so they can help you to be packed in small bags. But down material lose its shape whenever it is compressed for a long time and they are sensitive towards moisture. Those going for travel where you need to move around a lot and pack up your bag often, down materials may not be the best material for compact bags. You need to buy shells to help keep moisture out and give a proper care if you go with down materials. 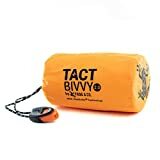 You can also go with synthetic insulation for a compact sleeping bag; the best part is it is cheaper than down material but may tend to be slightly heavier. Unlike down bags, synthetic bags hold its shape being regularly compressed. 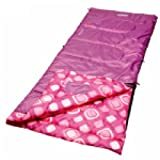 There are various manufacturers who now manufacture lighter compact sleeping bag utilizing synthetic material so that you can carry it easily. There are different design, shape, and quality of compact sleeping bags which you can explore easily going through the internet. Online shopping can be the best place where you can compare the quality and price as well as go for the expert advice. People who can estimate the environmental climate can select their bags with a temperature rating. If you are going to extreme temperature, you have to opt for the correct rating. It is best to buy 30 degrees if you are going in the hot climatic region. Similarly, 0 degrees or below would be the best for the cold. This is very crucial because you never know what will be the temperature where you are spending your night. Compact Sleeping bags help you increase the space in your bag so that you can allocate this space with other essential stuff. You can go with down material if you wish to carry bags with features like sufficient warmth and lightweight but you need to protect it from getting wet. The research has found that there are people who go to travel at least once every year. Especially, the people working in large cities wish to spend their holidays going on trekking, hiking or camping so that they can get refreshment in their monotonous busy life. Most of the traveler prefer down sleeping bag as a comfortable bag for a long journey. The reason for down is that for many years it has been the standard insulating material used in sleeping bags. 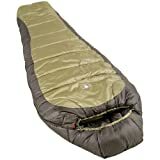 Down sleeping bags has recently done major improvement in insulation and no one can match the advantages it provides. There are certain points to be considered before buying a down. It uses high-quality material thus quite expensive. You should give special as well as proper storage. The interesting part is the down material will retain its shape better than synthetic. 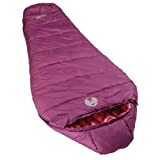 If you want your sleeping bag in good condition for a longer time, then it is always recommended to store the bag open and flat when not in use as storing it in compression sack will compress the feathers. And once the feathers are compressed they will not loft back as easily over time. Down bags are more expensive compared to the synthetics, but you can get several advantages like it is lightweight, provide more warmth, compressible and much durable than the cheap synthetic bags. Proper care and correct use can help you increase the lifespan of your down sleeping bag. They are compressible so you don’t have to allocate large space in your bag and you can store other essential things. Hi-loft down is great for long camping, journey or expeditions as it has got properties like lightweight, high insulation. Likewise, goose and duck down can be useful for regular camping and outings. A goose down bag is graded depending on the actual amount of fill and loft. If you want more warmth and loft, then you have to buy a bag with higher filling. You can also buy these bags based on the temperature range. If you are going in cold places, then you can opt for the 0-degree bag so that you can feel warm and cozy at 0 degrees. Traveling is one beautiful opportunity in a life, where you can enjoy your time without any tension. When you are in new place, you never know what will be the climate and hence down sleepinag bags will always keep you safe and warm. It is suitable for adults, kids, girls as it is available in different size and shapes. And these bags will help make your travel pleasant. 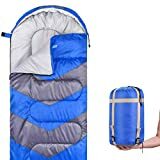 Whenever you’re planning an important backpacking getaway, it is necessary that you figure out how to select the appropriate backpacking sleeping bags. Numerous choices can easily confuse perhaps the most experienced backpacker. As a result of understanding what exactly you need you’ll be able to choose the most beneficial sleep solution that can fit nicely with your plans. What type of area are you visiting for this backpacking excursion? Is it going to be a hot or cold weather condition? Are you going to be exposed to snowfall or heavy rains? Will you travel on flat or rough terrains? These types of concerns are just focused on the location you’ll be camping out, but you also need to be knowledgeable about the kinds of spots you will backpack. By doing this, you will be able to decide on items like the features, material and also the exact gears that you need. This is a very important aspect to consider when traveling. 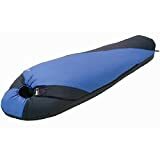 There is varying price range for sleeping bags, and generally, the most beneficial items are the most expensive. For example, goose down is extremely comfortable and also long-lasting but is much more high-priced compared to artificial kinds which are less than durable. What is the amount of comfort that you are desire? This factor is, for the most part, to assist you to decide if you want things like sleeping pads or mattresses. Are you concerned about weight issues? Some materials will weigh much more when compared with other types so you must look into the importance of weight as this should be considered during purchase. 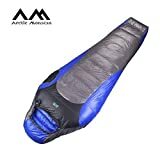 If weight is a concern, it’s also possible to think about purchasing a heavier sleeping bag to avoid getting a pad or mattress which could add a lot more weight. It is also a very good idea to think about what is more essential for you and also how each aspect will affect you in general. 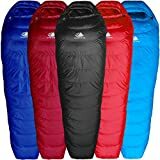 There is some difficulty involved when it comes to finding suitable sleeping bags if you genuinely don’t have an understanding of your needs ahead of time. When you are shopping, it is essential to know the type of sleeping solutions to suit your requirements.